Copp had two assists in Sunday's 6-3 win over the Blues in Game 3 of their first-round series. 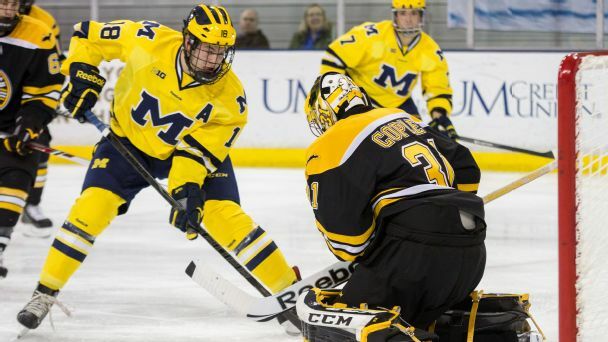 The NCAA hockey tournament is rife with rivalries, and that enmity extends to the pros. We asked some NHL players who are alumni of top college programs to sell us on their alma mater's virtues, talk trash about their rivals and pick this year's winner.